Mr H was impressed and a bit weirded out that the piano he is learning on is the very same piano that I started on at the same age! I told him that my Nanny Donald bought it for me when I was seven years old and we were living in Dural. She was such a musical lady and would often play for us. ‘My Bonny Lies Over the Ocean’ always makes me think of her. We would always spend Christmas Eve with the Hungarian side of the family at their home in Wahroonga and music was always a part of it. 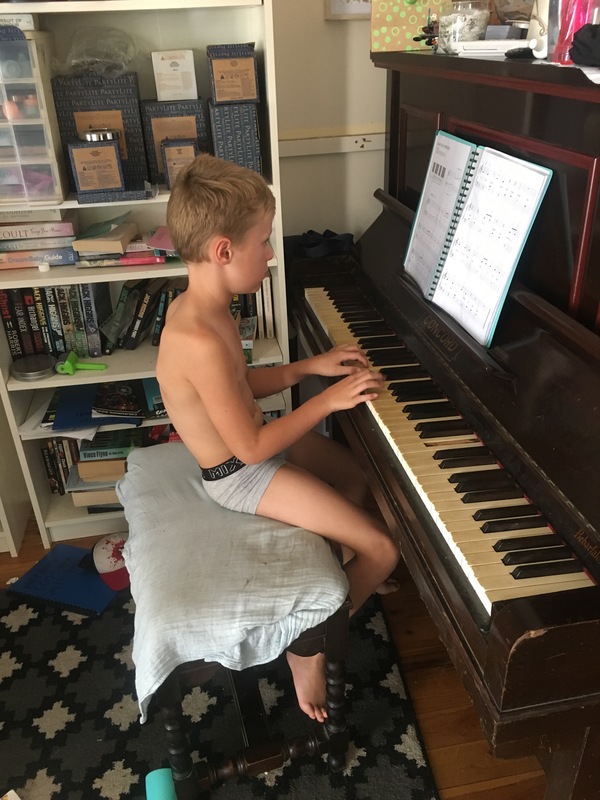 I love that my first born has taken to the piano as I did as a child. Warms my heart.